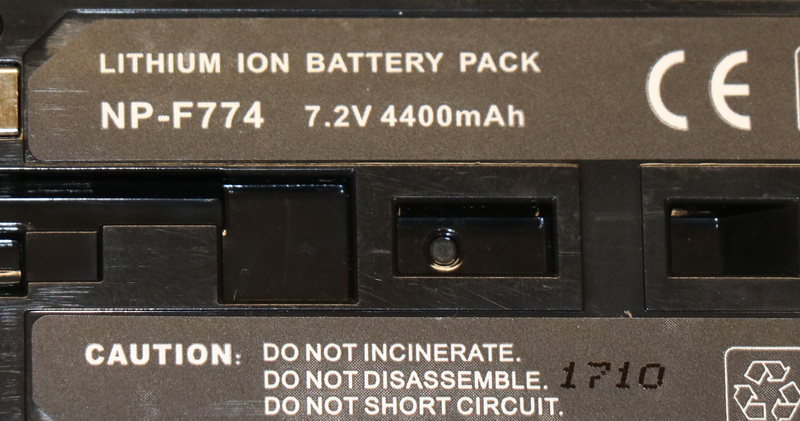 Scientists say they have discovered why popular lithium ion batteries degrade over time. BLOOMINGTON, Indiana – Every time you unplug a charger from a phone or laptop computer and walk away, you’re taking advantage of the scientific advance known as the lithium ion battery. But, as everyone who’s had a power failure at the worst time knows, the batteries degrade over time. Researchers may have discovered why lithium ion batteries, which also power electric vehicles, are so inefficient. Environmental policy analysts at IU’s Environmental Resilience Institute say the discovery could increase the lifespan and efficiency of batteries, boosting the number of people buying those vehicles. Using the SLAC National Accelerator Lab at Stanford University, researchers from Stanford, MIT and the University of Bath were able to view individual nanoparticles in batteries using powerful X-rays. They found that lithium moves in inefficient ways through a battery, creating a hot spot that causes damage and reduces its power storage capacity. According to the U.S. Environmental Protection Agency, transportation is responsible for 28 percent of all greenhouse gas emissions. Switching over to more environmentally friendly vehicles would significantly reduce the amount of pollutants that contribute to ozone formation like nitrogen oxide and carbon monoxide, which contribute to negative health outcomes. Lithium ion batteries power many devices, but degrade over time. New research may have discovered why that happens. Despite the clear benefit of switching over to electric or hybrid vehicles, drivers in Indiana and across the nation still rely on cars and trucks powered by fossil fuels. Andrea Webster, implementation manager for Indiana University’s Environmental Resilience Institute says a prolonged battery life could be a major factor in convincing people to switch over to more environmentally friendly vehicles. An extended battery life could make those types of vehicles more attractive for consumers, hastening the transition from a national fossil fuel infrastructure to one friendlier to electric vehicles. 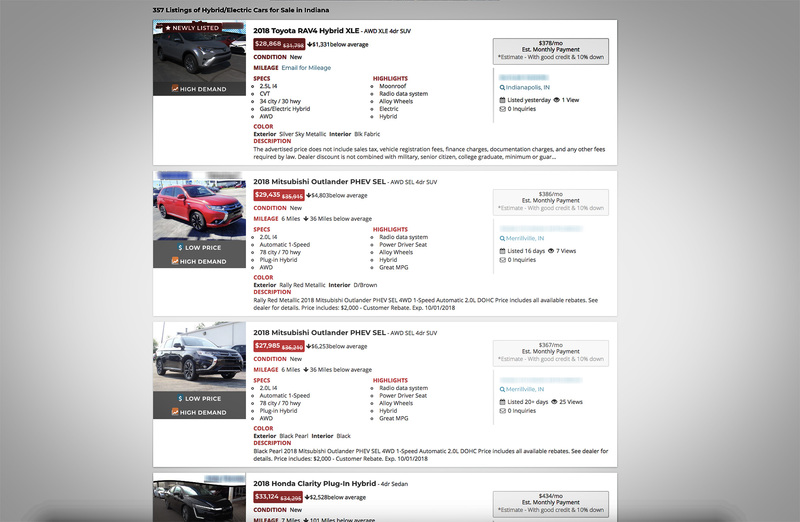 More than 20 brands of electric vehicles are available for sale in the midwest. Janet McCabe, former acting assistant administrator for the EPA’s Office of Air and Radiation during the Obama administration, says Indiana and the rest of the nation is due for a transition from fossil fuels. The auto industry is slowly moving to include more electric vehicles in its inventory. Right now, at least 20 different brands of electric vehicles are available in the Midwest. The United States has no federal emissions goals, but at least 13 states, excluding Indiana, have set their own emissions standards. People and businesses who buy electric and hybrid vehicles qualify for a series of tax credits and utility incentives. Some local governments in Indiana have begun switching over some of their public transportation from conventional fuel-powered vehicles to electric and hybrid vehicles. The Indianapolis Public Transportation Corporation, or IndyGo, has begun work on the 35-mile Red Line bus rapid transit route, the nation’s first all-electric bus line in the nation. 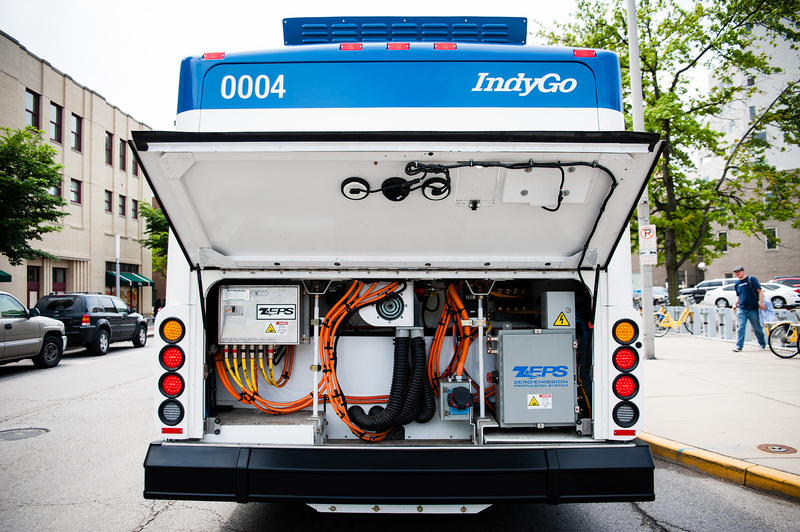 IndyGo says the lithium-ion battery-powered buses on the line will operate for 20 hours a day, seven days a week. Further south, Bloomington Transit says it is considering purchasing an electric bus and has included a request for funding in its 2019 budget. 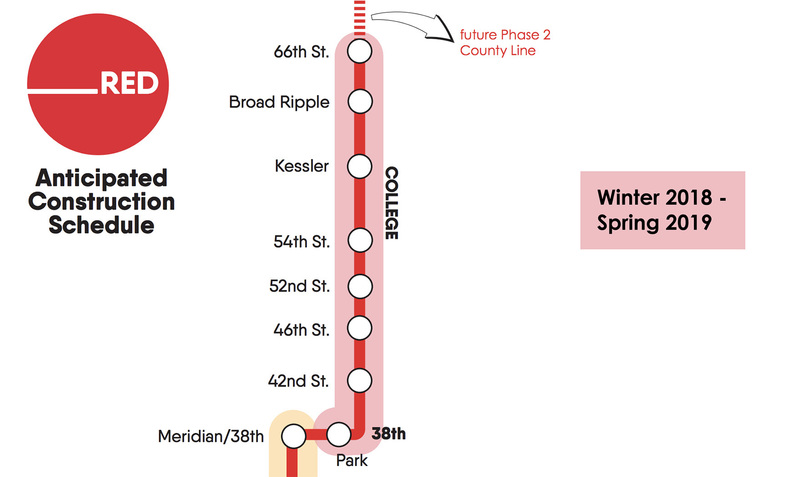 IndyGo has begun construction of Phase 1 of the all-electric Red Line. A Trump administration proposal seeks to take the power to set emissions standards away from states and regulate the standards at the federal level. But while the U.S. is still working to convince a majority of Americans that investing in environmentally-friendly vehicles is a good idea, many other countries have already decided to change their entire energy infrastructure. Norway, India, the United Kingdom and France have pledged to reduce vehicle emissions by ending the sale of conventional gasoline and diesel powered cars in the next few decades. Ten other European and Asian countries have pledged to increase the sale of electric cars. Researchers from Stanford, MIT and the University of Bath have discovered that lithium moves in inefficient ways through a battery, creating a hot spot that causes damage and reduces its power storage capacity. That discovery could lead to a boom in electric car usage, and reduce greenhouse gas emissions across the globe.